Classes will include all materials, a treat and a game! To a register for a class visit the Vault Studio website. 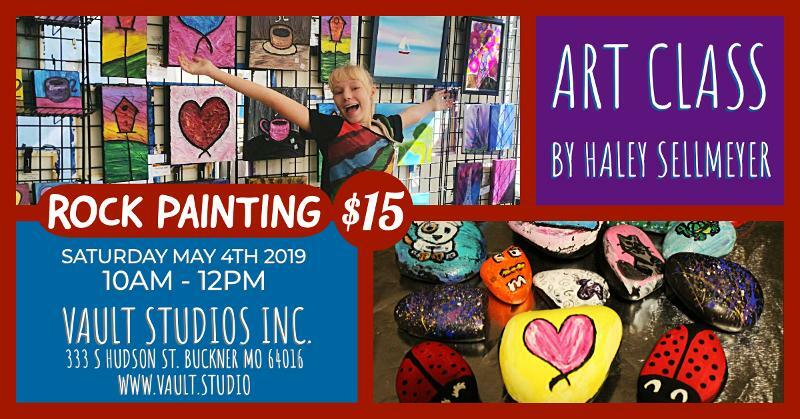 Purpose: To teach painting and painting techniques in a fun, creative environment that is instructor lead by Haley Sellmeyer with hands on experience for the participants. Target audience: Children 5 and over, children under 5 with guardian assistance, teenagers, beginner adults and elderly participants. Teaching: Identifying where to obtain rocks, what types of rocks are best for painting, how to prime rocks for painting, creative ideas for rock painting, how to utilize tools for rock painting- such as markers and paint, how to spray protect painted rocks and what can be done with painted rocks. 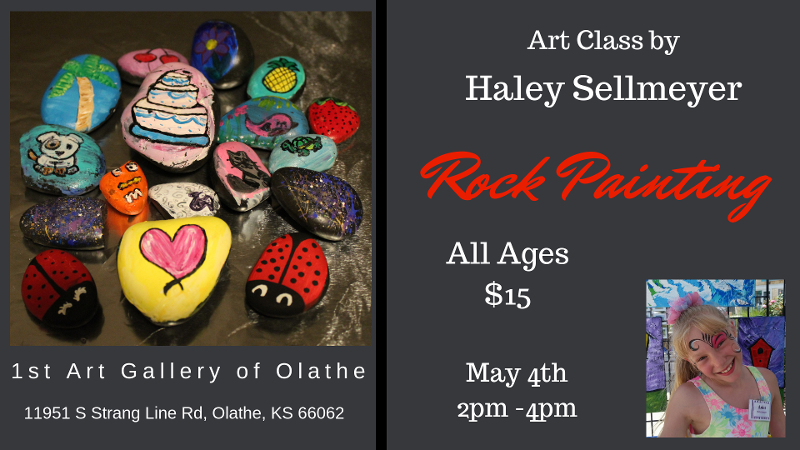 Materials provided: 1 bag of rocks for each participant, paint, markers and spray protectant sealant.